Kia Ora—welcome to New Zealand! Hotel rooms are available for immediate check-in. Please schedule flights to arrive by 4:30 pm in order to attend this evening’s welcome briefing and dinner. 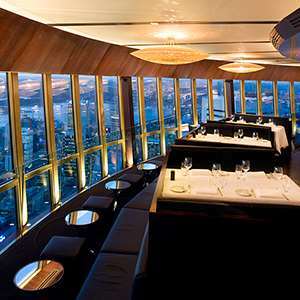 Dinner this evening is at SKY TOWER, offering amazing 360-degree views of the city and harbor below. Start your day with a sightseeing tour of Auckland, the “City of Sails.” See bustling Queen Street, the city’s oldest park, Auckland Domain, and historic Parnell Village. The remainder of the day is yours to explore more of this vibrant city. You may want to visit the impressive Auckland Museum or visit the trendy boutiques and cafés on Chancery and High Streets. Your Tour Director will have suggestions for additional sightseeing, shopping, and dining. 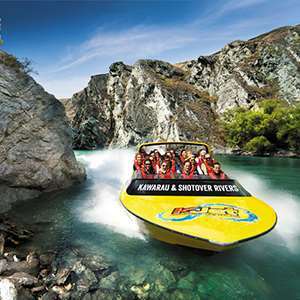 Depart Auckland and travel through the green pastoral region of Waikato to the famous WAITOMO GLOWWORM CAVES. Experience a guided tour through the limestone chambers and passages of the cavern. Take a silent boat trip through Glowworm Grotto as you glide quietly beneath the lights of thousands of glowworms suspended from the cave ceiling. In the afternoon, continue over the Mamaku Ranges to Rotorua. Enjoy a traditional HANGI DINNER this evening, followed by an authentic MAORI CULTURAL PERFORMANCE. This morning, visit RAINBOW SPRINGS to view native bush and wildlife, including a visit behind the scenes at the KIWI ENCOUNTER to see each stage a kiwi chick goes through before being released into the national parks: incubation, hatching, and rearing. 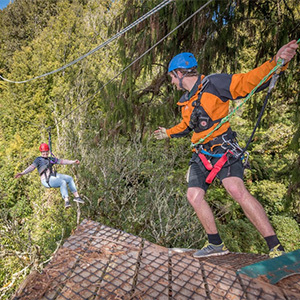 Kiwi Encounter is New Zealand’s largest and most successful Kiwi conservation center. 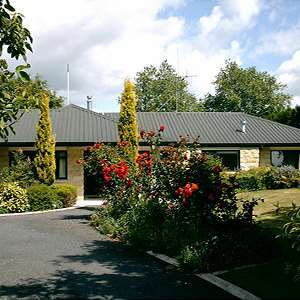 Your visit here helps support the National Kiwi Trust. Then, visit the AGRODOME to learn more about one of the country’s major industries—sheep! Continue on to TE PUIA, Rotorua’s most prominent thermal area with New Zealand’s largest geyser, boiling mud pools, and silica terraces. The afternoon and evening are at your leisure. 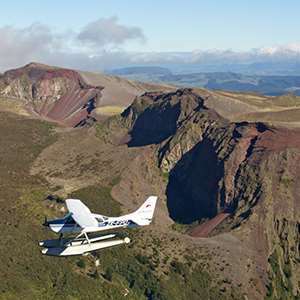 You may wish to board a floatplane for flightseeing of this beautiful area, join a New Zealand family for dinner in their home, or indulge yourself in the relaxing hot springs, sumptuous spa treatments, and massage therapies at the Polynesian Spa. 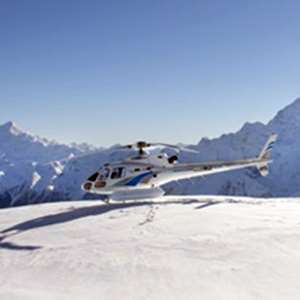 Fly to Christchurch, the largest city on New Zealand’s South Island, then travel south to magnificent MOUNT COOK NATIONAL PARK, named after New Zealand’s highest peak. Weather permitting, you may wish to join a stargazing program this evening. The Mount Cook region offers some of the darkest skies in the world—perfect for viewing the southern night sky. 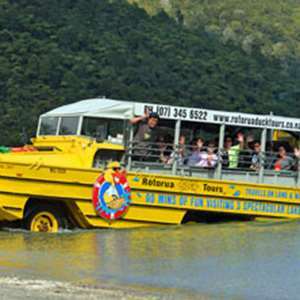 Today, travel into FIORDLAND NATIONAL PARK through the Homer Tunnel to Milford Sound. 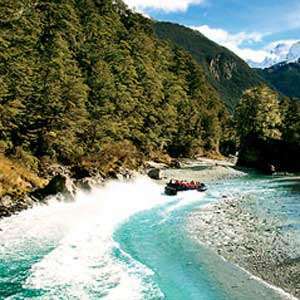 Boasting some of the most breathtaking scenery in the world, this region of New Zealand has been honored as a UNESCO World Heritage Site. CRUISE on the fiord, with sheer rock walls rising thousands of feet from the water’s great depths. A full day at leisure for your own discoveries. 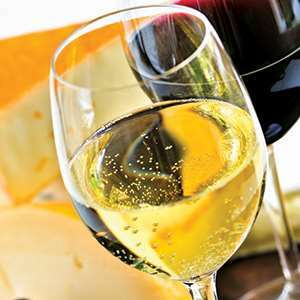 Consider an optional visit to a local vineyard and sample some of the prize vintages, or maybe take a thrilling jetboat ride on the Dart River. Your Tour Director will have suggestions to help you plan your day to explore, shop, and enjoy optional activities. This evening, take a scenic GONDOLA RIDE to the top of Bob’s Peak where you’ll enjoy a delicious dinner and breathtaking views of Queenstown, Lake Wakatipu, and the Remarkable Mountains. Make sure to have your camera ready for fantastic photo opportunities. This morning, board your flight across the Tasman Sea to Melbourne. Today’s sightseeing tour includes landmarks such as Parliament House and the Shrine of Remembrance, a tribute to Australia’s war heroes. Visit beautiful FITZROY GARDENS, then drive past the Royal Botanic Gardens. You’ll soon discover the different architectural influences of this city as you see the Victorian Arts Centre and other buildings of significance. 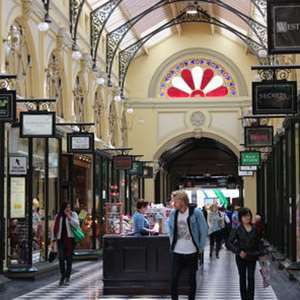 Next, enjoy a unique lunch experience aboard the historic COLONIAL TRAMCAR RESTAURANT as it winds its way through the streets of Melbourne. Tonight’s optional excursion to see the world-famous Penguin Parade on Phillip Island is highly recommended. Today, fly to the Outback where sightseeing includes a visit to the SCHOOL OF THE AIR to learn how education services are provided in remote regions. Also, visit the OLD TELEGRAPH STATION to discover how early settlers developed communications. Tonight, a unique OUTBACK BARBECUE features typical campfire fare and awe-inspiring Outback ambiance. This morning, visit remarkable STANDLEY CHASM, a spectacular geological and cultural icon. Learn the history of this land as well have the chance to walk “the Gap of Water,” a striking geological formation. Later, fly to the “Center of Australia.” Upon arrival, travel to a popular lookout to enjoy views of the magnificent KATA TJUTA (the Olgas), a geological splendor of some 36 brilliant domes. There is time to take photos before returning to “Sunset Strip” for a DRINK and the changing colors of the rock. Your Outback adventure continues this morning. 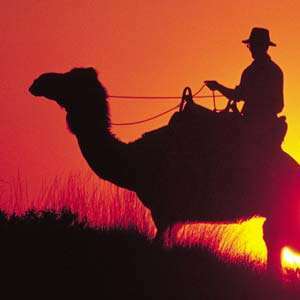 For an unforgettable experience, you may choose to rise early for an optional camel ride to watch the sunrise at Uluru. Then, enjoy a TOUR around the base of the rock, learning of its significance to the Anangu Aboriginal people. For an even more amazing view of Uluru, perhaps take an optional aircraft ride. 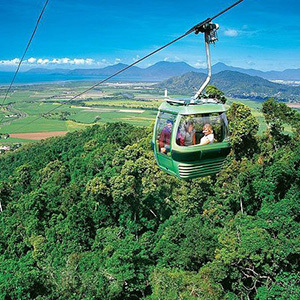 Later, fly to Cairns, “Gateway to the Great Barrier Reef,” one of the Seven Natural Wonders of the World. 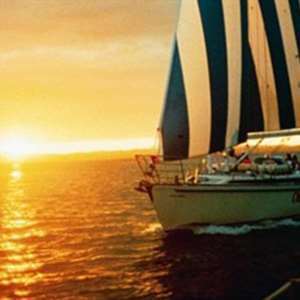 Today, prepare for the experience of a lifetime when you board a catamaran and CRUISE to the Outer Great Barrier Reef. Explore this underwater world that is a dazzling kaleidoscope of color and brilliance. 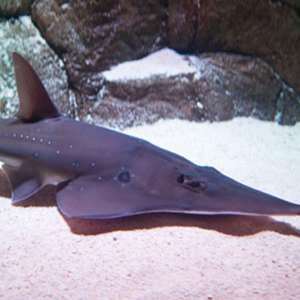 Choose to SNORKEL, take a GLASS BOTTOM BOAT TOUR, view the reef from an underwater obsrvatory, watch fish feeding, and enjoy a marine touch tank. Return to Cairns, where your evening is at leisure. A full day at leisure in this tropical paradise. 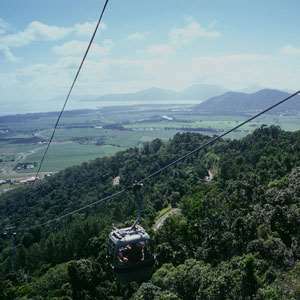 For a truly amazing experience, consider our optional trip to Kuranda via the old scenic rail route. See magnificent scenery from the comfort of a restored, historic mountain train. For the return journey, you may choose to take the Skyrail Rainforest Cableway—or maybe spend the day in the magical Daintree Rainforest, thought to be the planet’s oldest surviving tropical rainforest. This morning, enjoy a special visit to KOALA GARDENS for your chance to see koalas doing what they do best—eating, sleeping, and looking adorable. 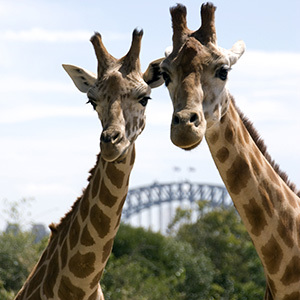 There’s also the chance to meet Australia’s other native animals. Before your visit ends, you’ll have your picture taken with a koala—the perfect souvenir! Later, fly to Sydney, Australia’s largest city. Explore one of the world’s most beautiful cities. Visit the SYDNEY OPERA HOUSE, a UNESCO World Heritage Site, for a guided tour of its interior and theaters. Travel to Mrs. Macquarie’s Chair in the city’s BOTANIC GARDENS for a great photo opportunity and sweeping views of the harbor, Opera House, and Harbour Bridge. Visit world-famous Bondi Beach for an insider’s tour of BONDI SURF BATHERS’ LIFE SAVING CLUB with one of the lifesavers. Lunch today is at the historic North Bondi Returned Servicemen’s Leagues Club, located on Bondi Beach. Learn about the history of this special place and the courageous “Rats of Tobruk” while enjoying sweeping waterfront views and delicious food. Afterward, a CRUISE on Sydney Harbour highlights some of the city’s best views. Enjoy a full day at leisure for your own discoveries. 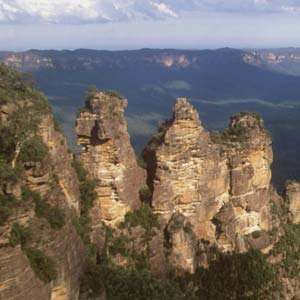 Perhaps join our optional excursion to the Blue Mountains for a wilderness experience or to the Hunter Valley, one of Australia’s leading wine-growing regions. 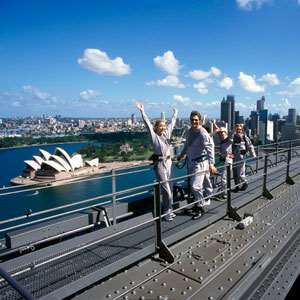 You can even climb to the top of Sydney’s Harbour Bridge! 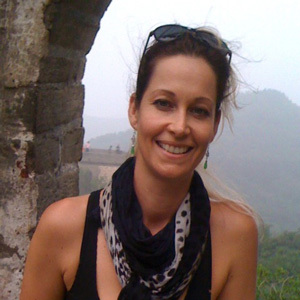 Your Tour Director will have suggestions to help you make the most of this exciting city. This evening, your Tour Director hosts a special farewell dinner at a WATERFRONT RESTAURANT, overlooking Sydney Harbour. 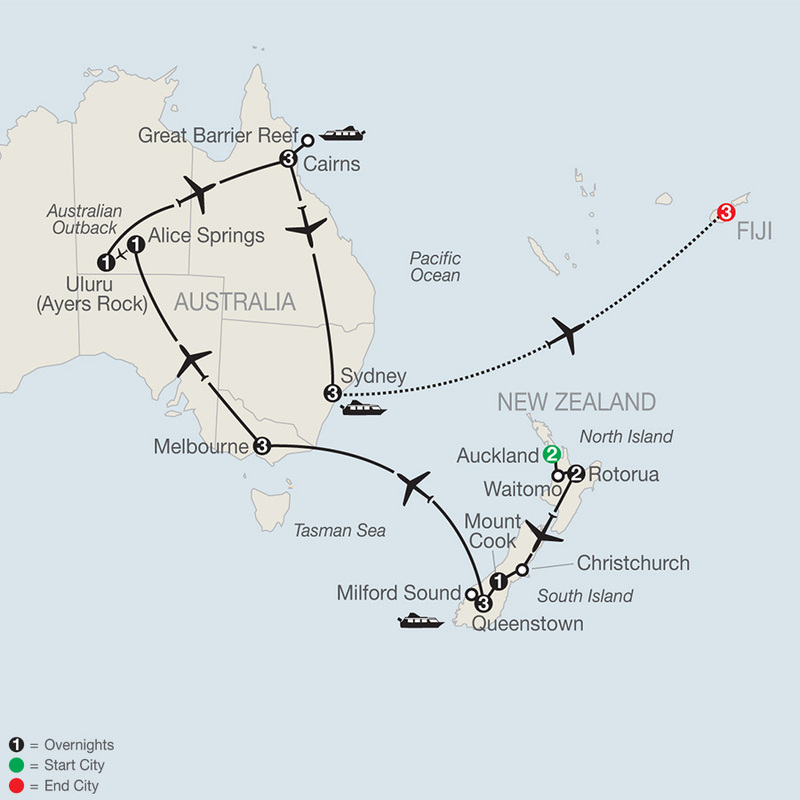 Today, depart Sydney and fly to Fiji for three nights in this tropical paradise. This morning, enjoy a sightseeing tour of the island. Visit the GARDEN OF THE SLEEPING GIANT to see a private collection of stunning tropical orchids and visit VISEISEI VILLAGE, where the Fijian people first landed centuries ago. Stop at the VUDA LOOKOUT, a tropical fruit farm perched on a cliff, where you’ll sample fruit and juice from the orchard. Visit a local market and explore the stalls selling fresh produce at NAMAKA MARKET; then stop at the Southern Hemisphere’s largest Hindu temple, SRI SIVA SUBRAMANIYA. The remainder of the day is at your leisure. A full day at your leisure. 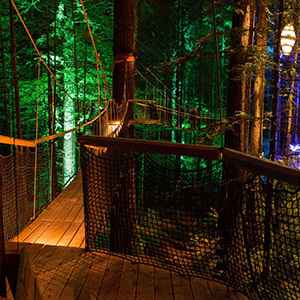 The TreeWalk consists of 21 suspension bridges traversing between 22 Californian coastal redwoods. It gives walkers a unique view of the native undergrowth below from up to 12 meters (40 feet) above the ground. The TreeWalk allows plenty of time to appreciate the beauty of the forest that is quite different from what you experience on the ground. In the evening, the forest and ferns are illuminated by 30 suspended lanterns designed by David Trubridge and multiple colored spot lights. A truly unique night time experience! Nothing will prepare you for this awesome, bird's-eye view of Melbourne! Join us for a unique experience that will get your heart racing as you step out 984 feet above the ground (that's almost as high as the Eiffel Tower). 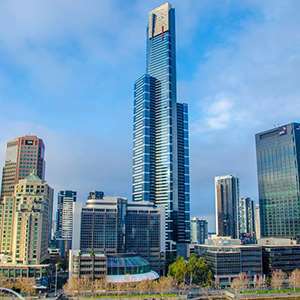 Eureka Skydeck 88 takes you right to The Edge, a special glass cube observation deck that slides out from the building with you inside! It's a city view you'll never forget. 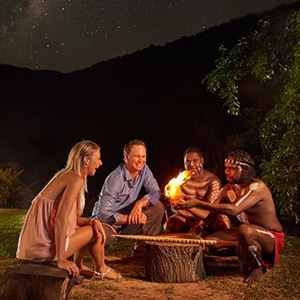 Experience the Red Centre the Australian way! In the company of an expert Local Guide, head out into the fresh morning air for a peaceful, one-hour camel ride through the red sand dunes of the Outback.